Production area: Casalduni – Guardia Sanframondi – San Lupo / Cultivar: Ortice, Ortolana Racioppella / Height: 400 mt. s.l.m. average olive groves / Harvest: October-November / Collection: manual / Extraction: crushing hammer and subsequent cold extraction using continuous cycle of constant extraction temperature of 27 ° C / oil yield per 1 kg of olives: 10- 16% / Storage: in stainless steel containers. 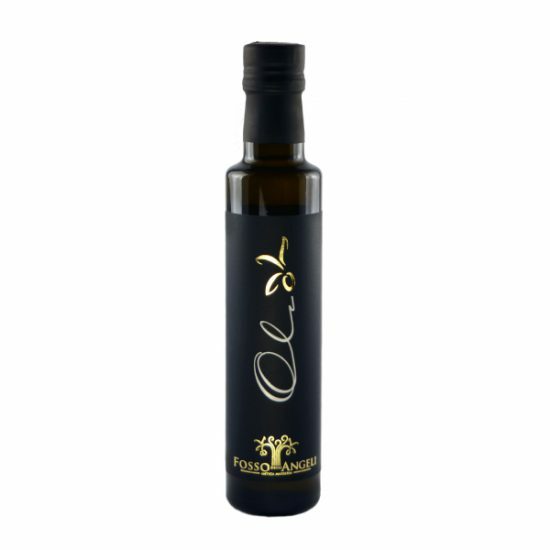 organoleptic description: fruity, fresh and persistent olive green, accompanied by notes of cut grass apple and tomato. Fragrances typical of ‘Ortolana of Racioppella and’ Ortice. All ‘taste is fresh and clean, with a pleasant spicy accompanied by a slightly bitter, to turn a pleasant aftertaste of bitter nuts.